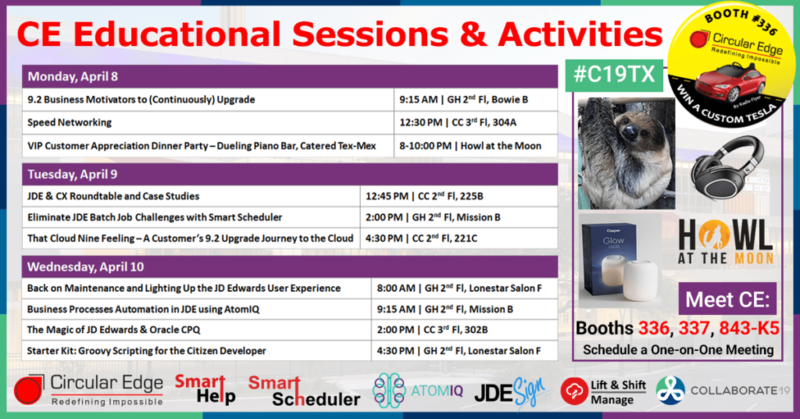 Schedule a one-on-one meeting with the CE team while you are at COLLABORATE to explore the skills, resources & innovations that are available to help you realize your JD Edwards & Oracle Cloud roadmap. 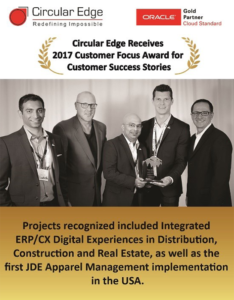 You can further engage with CE at COLLABORATE through educational sessions & customer stories, our VIP Customer Appreciation Dinner Party at Howl at the Moon, product demos & giveaways (including a Custom Tesla by Radio Flyer, Casper Glow Lights & Sennheiser PXC 550 Headphones) and more. To schedule a meeting, please complete the form below including the day(s) you are available and we will follow up with confirmation.